"Where ever you go, there you are." All the situations in your life, the relationships you have with family, work and community, the goals you have in mind, you bring yourself to the party. How's it going at all the parties in your life ? operate with and want to keep it going. This Party is Dull - Trudging through life, work, home, chores. Where is the fun? Party? What Party? - Living by default, unconsciously, I'm not sure I know all of myself. I may not be operating fully integrated or fulfilling my life's purpose. I'm at the Wrong Party! - Difficult relationships: Family/Work/Community. It's My Party, I'll Cry If I Want To - And I choose to make changes. I've been doing the same old things, the same old way, getting the same old results. I'm ready to take steps to shift! Let's Party! - I'm a coach or coaching student and would like a mentor. Check all that apply and prepare to celebrate a life that really fits you! Are you 100% satisfied with your life? through co-active coaching with me! Coaching is a proven resource for living a life of purpose, on purpose. When we live a life of purpose, we become a positive influence in our own lives and in the world. 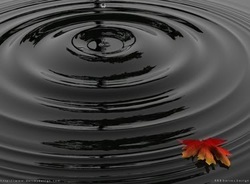 If a pebble is thrown in a pond, the result is an expanding ripple. You can have the same effect on other people. Imagine the positive ripple effect you will create when you step fully into your life! What is keeping you from realizing the POSSIBILITY of your life? I am available to collaborate with you on your POSSIBILITY JOURNEY! These are a few of the topics we can explore during your coaching sessions. 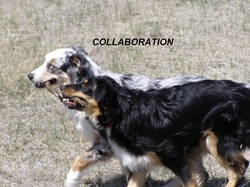 Together, through collaboration, we will identify your goals, create strategies and plans for your sustained success!
" Heidi has been an invaluable resource to me! Coaching with her has resulted in greater self-awareness and faster and more focused success. it's safe, supportive, progressive and non-judgmental. 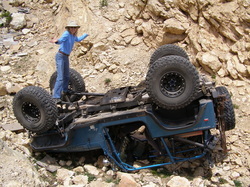 If you are fortunate enough to have what you want in your life, what will keep it from going topsy turvy? Sometimes life shifts beneath us when we least expect it! even if you experience a "roll over". Being proactive will save you time and money, as you will know how to upright yourself instead of waiting for someone else to winch you back on track. Love, Joy, Unity, Empowerment and Encouragement spread outward to your family, friends and the wider circle of the world.